The economy is changing, and companies all over the world are rapidly expanding their global outreach by taking advantage of the most up-to-date of marketing techniques. One of these techniques, affiliate marketing, is a type of digital marketing where marketers (affiliates) are rewarded based on how effective their campaigns are. Affiliate marketing is a cost-effective way to do advertising, as it means that merchants only have to pay for the advertising that actually leads to new business. However, advertising is not an industry that is free from fraud, and 2016 saw, according to the ANA, more than 7 billion dollars of fraud in the industry. HOQU (pronounced Hoh-koo) is a decentralized marketing platform that aims to ensure fair affiliate marketing deals, worldwide. 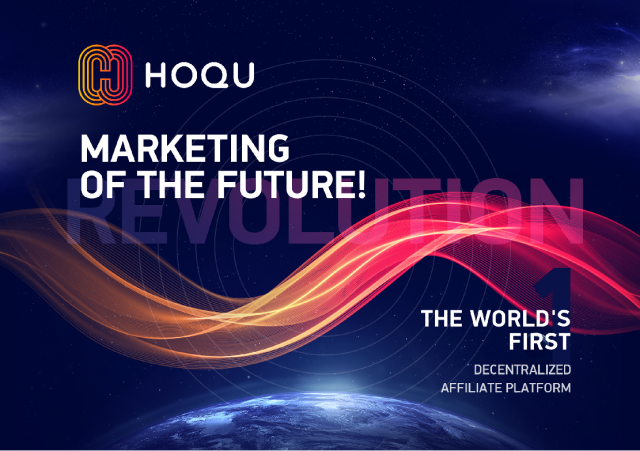 The HOQU team – a group of advertising, fintech, and tech expert – has developed an ecosystem that will eliminate fraud in affiliate marketing. The HOQU ecosystem is built to be integrated into marketing platforms all over the world. The following benefits for merchants and affiliates will be available on your app via a soon-to-be developed API. Merchants who seek affiliate marketing on HOQU are protected from fraud on a number of different fronts. 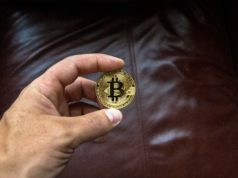 Potential affiliate marketers are made available to merchants based on a multi-tier system of authentication and reputational rating, all secured by the blockchain. Affiliates are divided into three tiers, based on how much information they have provided to prove their identity. The basic tier – tier one – is the default for all affiliate accounts that have simply registered. The highest tier – tier three – will be assigned to all affiliate accounts that have followed the entire authentication procedure. Among the information that these users will provide will be a scan of their passport or ID card and a utility bill or some other document proving their place of residence. More fully authenticated affiliates are more reliable, and so will have access to the majority of marketing work available. Merchants can use filters on the user-interface to specify that they only want to use the services of high-tier affiliates. Merchants can be sure that they are getting the most “bang for their buck” because the HOQU platform is integrated with the most cutting edge of technologies for measuring KPIs. An example of such a tool is MarketCall (https://marketcall.xyz). Using MarketCall, the merchant indicates how much they are willing to pay per each call received, and MarketCall only takes payment for qualified calls from potential clients. These technologies overall assure that independent affiliates cannot “pad their numbers.” If a merchant feels like they are paying for more advertising than they are actually receiving, they can seek resolution from the third-party appeal center, a part of the HOQU ecosystem. Of course, all transactions will be absolutely secure, because they will be made using the HQx token, on the HOQU blockchain. 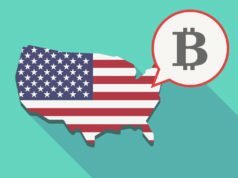 All authentication information and reputational information will be secured on the blockchain, too. This means that if a fraudster affiliate tries to make a new account on HOQU to find work, they will keep their old, low, rating. The features that protect HOQU merchants from fraud protect affiliates too. The same multi-tier system is applied to merchants. A merchant that is fully authenticated will have a much easier time finding affiliate marketers that will work with them as they will be perceived to be more reliable. Additionally, affiliates can see the reputational ratings of merchants before going into business with them. They can know if they might have a problem regarding payment or any other issue well before any work gets done. Affiliate marketers will be benefitted by the fact that credit card fraud, or “shaving,” is impossible on the HOQU ecosystem. Affiliates will always get the payments they deserve, in HQx tokens, because the blockchain will ensure it. If not, the appeal center is available to them, as it is for the merchant. Importantly, the affiliate can feel self assured in his anonymity. Affiliate contact information, after going through the authentication process, is unavailable on the platform for anyone else to see. The only information that merchants will have about them is what is available on their user profile. The digital marketing industry is growing fast – by approximately 20% annually. Demand is already there for a way to get rid of fraud in this 335-billion-dollar industry. HOQU is the solution, and purchasing the HQx token is a great way for you to get involved with the project. The pre-sale starts November 13th and ends on November 20th. 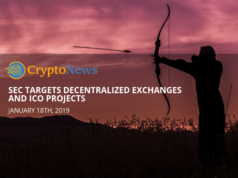 For more information about the project, visit https://hoqu.com and download the excellently written white paper.